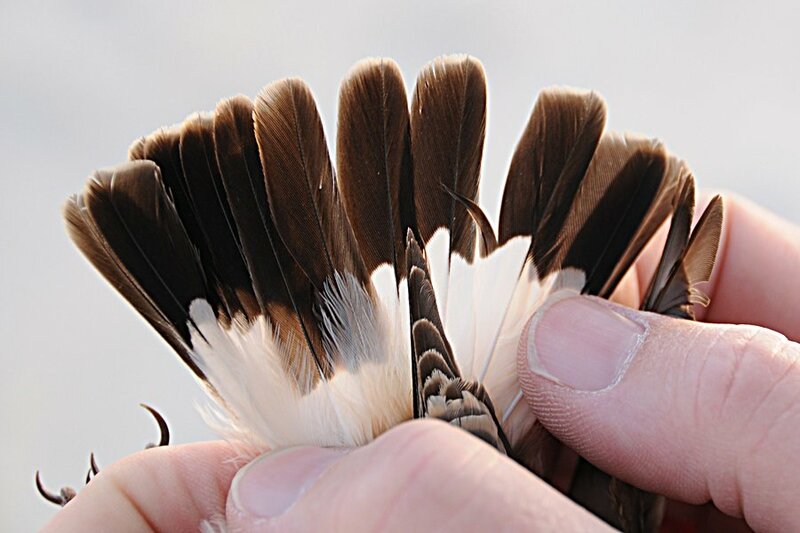 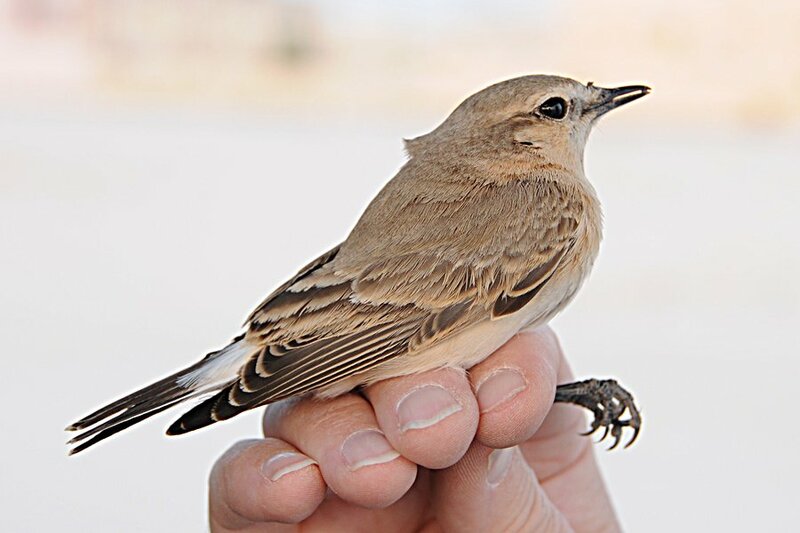 On Friday I went ringing with Brendan and Abdulla at Busaiteen, with the spring traps, in search of Wheatears. 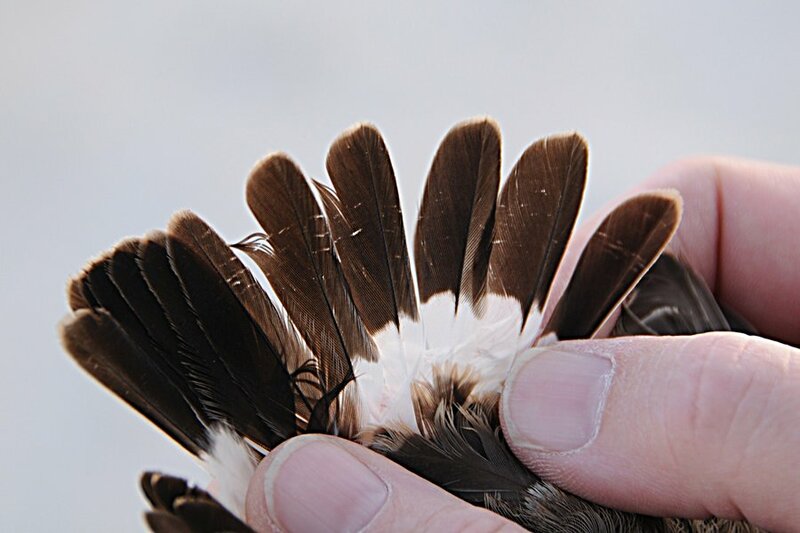 We had plenty of worms this time but the weather was against us with a strong Shamal wind (north-westerly) blowing. 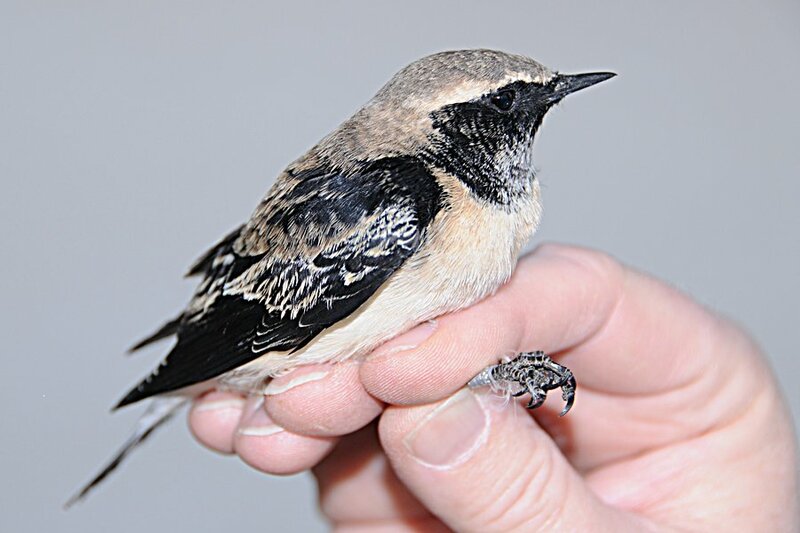 As a result most of the birds were sheltering from the wind or where absent and we did not see too many Wheatears or many other birds. 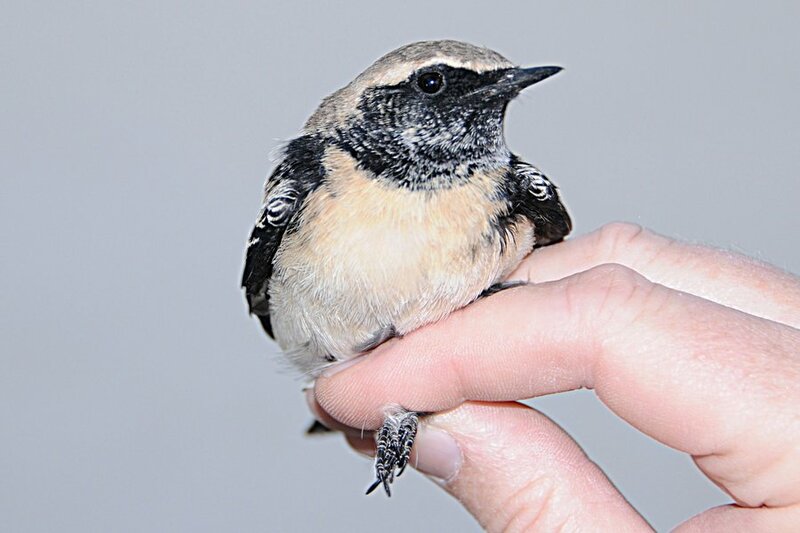 We managed to catch two Pied Wheatears, and adult male and a first year female, as well as two Isabelline Wheatears all in the spring traps. 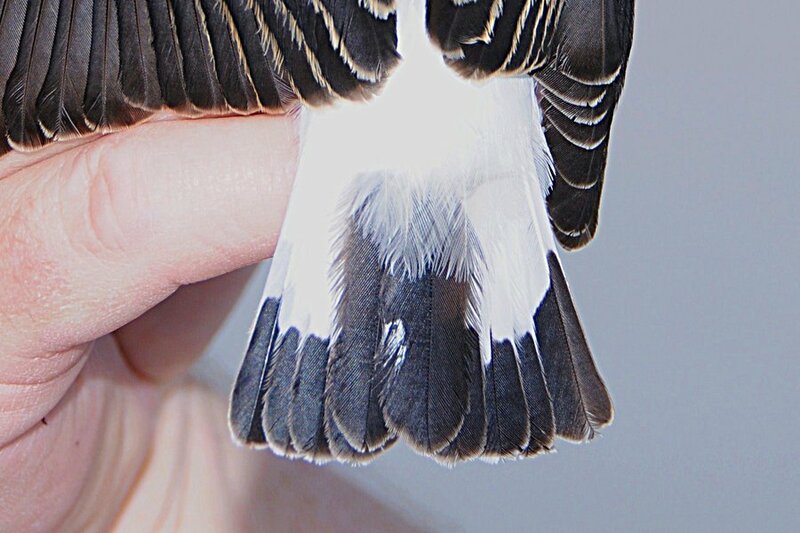 We had two other Pied Wheatears positioned right above two traps but they would not go for the bait unfortunately. 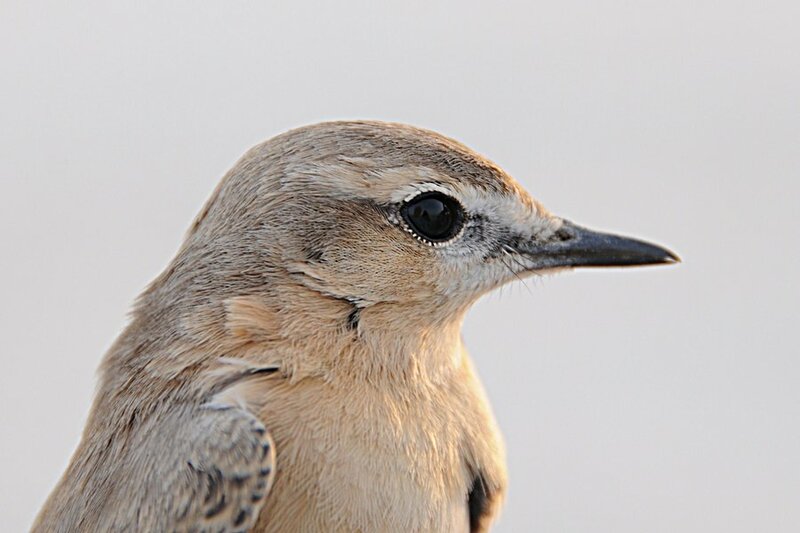 I had not seen a female Pied Wheatear in the hand before and it was a valuable experience as a few pointers to the unidentified Wheatear from Sabkhat Al Fasl last weekend were noted showing this bird was almost certainly a Pied Wheatear rather than a Finsch’s Wheatear.